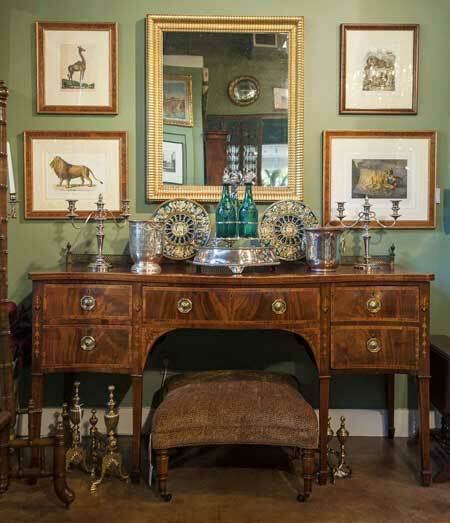 For more than 30 years, the Antique Swan has been a trusted source for fine English and European antiques in Central Texas. 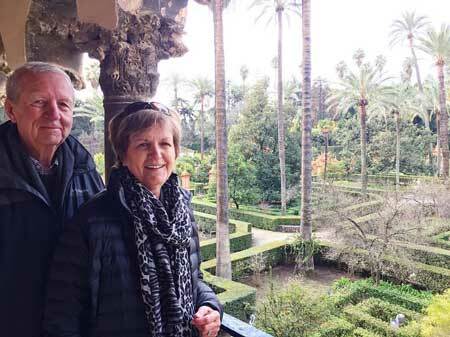 From a lovely home in Harrold, Bedfordshire, delightfully situated on the Ouse River, our owners, Ann and Bill Martin, travel throughout Britain to bring you the finest antiques the Isles have to offer. Each piece is selected for its beauty, quality, and authenticity. Biannual trips to France and the Continent enhance the Antique Swan selections. Shopping at the Antique Swan means you will always experience expert service and a reliable, knowledgeable staff. Whether shopping virtually or in our Austin, Texas showrooms, we are here to help you. Our downtown Austin storefront is a shopping destination for visitors from around the world. From the same location at the Whit Hanks building near the historic Treaty Oak, we have developed a loyal following in the local community. Antique Swan boasts four large show rooms – including a Garden Room and a Club Room – along with a nearby warehouse. Our shop is easy to find and fun to explore! Our website is updated weekly with newly-acquired items of distinction, covering a wide range of styles, from early Georgian to mid-century Modern. In person or online, our experienced staff can help you bring the essence of English style into your home. View images of the showroom.